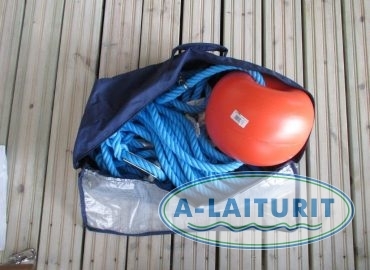 The buoy can also be anchored with a rope, the shackles included in the package, and an additional float. 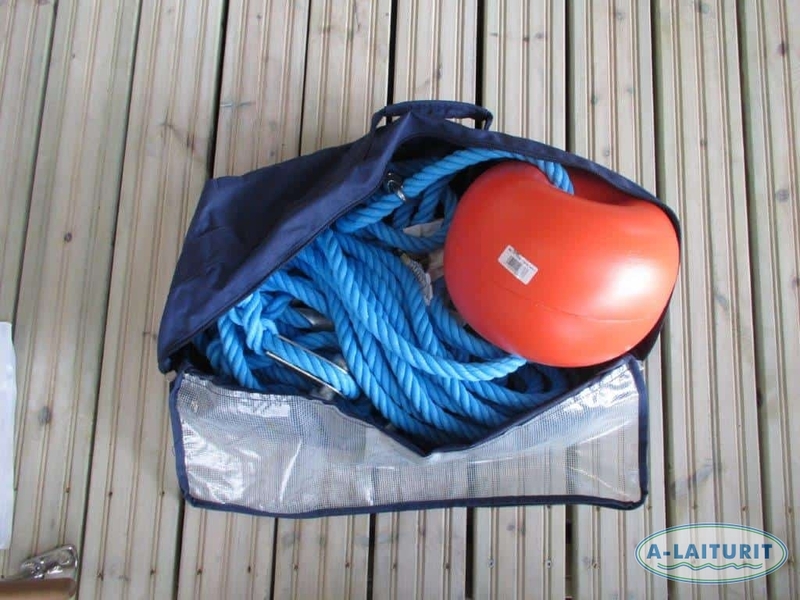 The sinking lead core rope for the buoy has a length of 5 m, thickness of 20mm. The material is polythene. Package includes thimbles, shackles 20 mm, and additional float. Requires a length of chain for attaching to the buoy rod and for fastening the lower end when using 25 kg anchor weights.